Beautiful shades and button detailing take the Doris design to the next level. It's simple, but very effective. 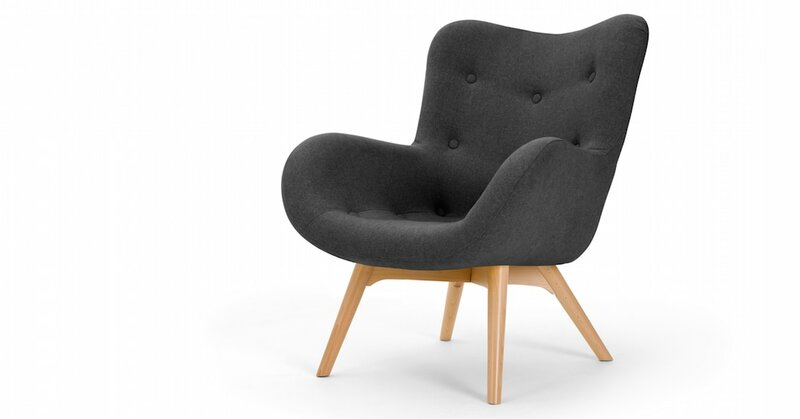 Slanted legs give your chair the perfect reclining angle and the padded high back means your quick sit down might last a little longer than you planned. The legs of our beautiful Doris range are made from natural beech wood, so they'll fit perfectly with any interior.